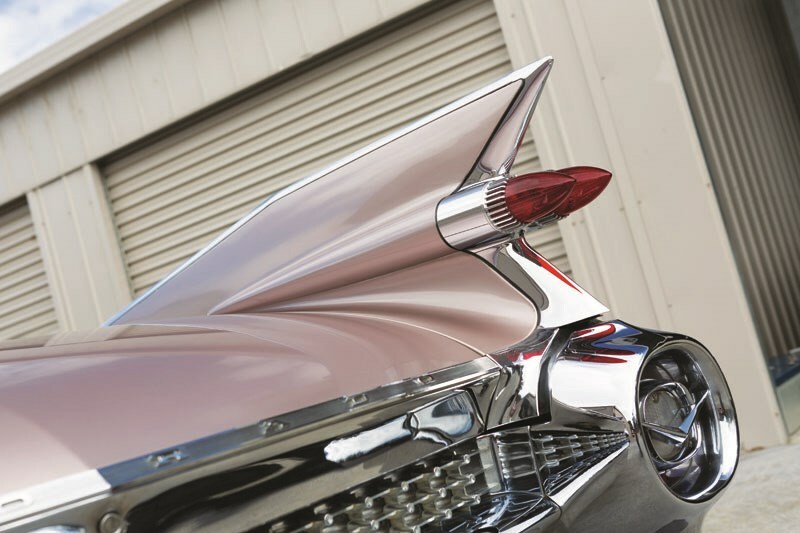 We’ve seen our fair share of these things before, but you never really get accustomed to the full scale of a ’59 Cadillac. Ever. When young Mauro, owner of the stunning Eldorado Seville you see here, wafted into view, you couldn’t help thinking we needed a bigger horizon. It seemed to take up the entire space where were planning to put four cars for a photo. 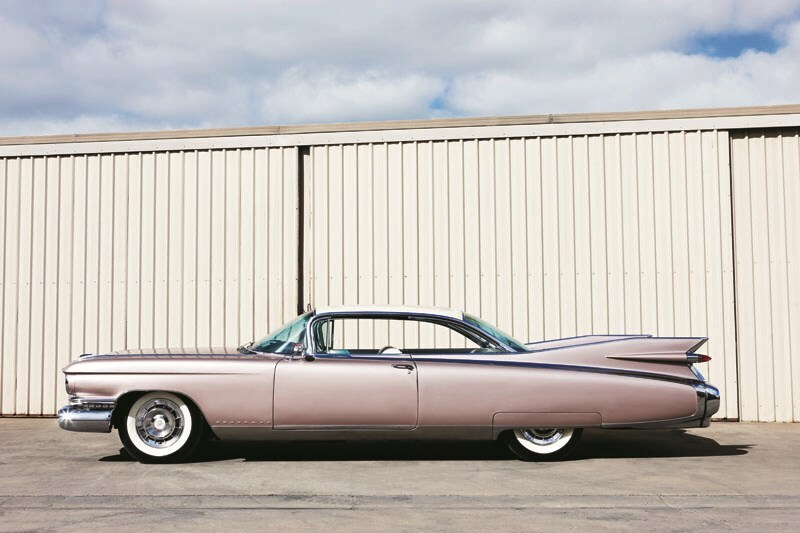 My all-time favourite observation of this 50s Cadillac phenomenon is from Dan Proudfoot, in the The Globe & Mail (USA): "Like a whale easing past a deep-sea diver, the 1959 Cadillac Eldorado Seville cannot be taken in in a single glance." Yep, that’s exactly what it’s like. 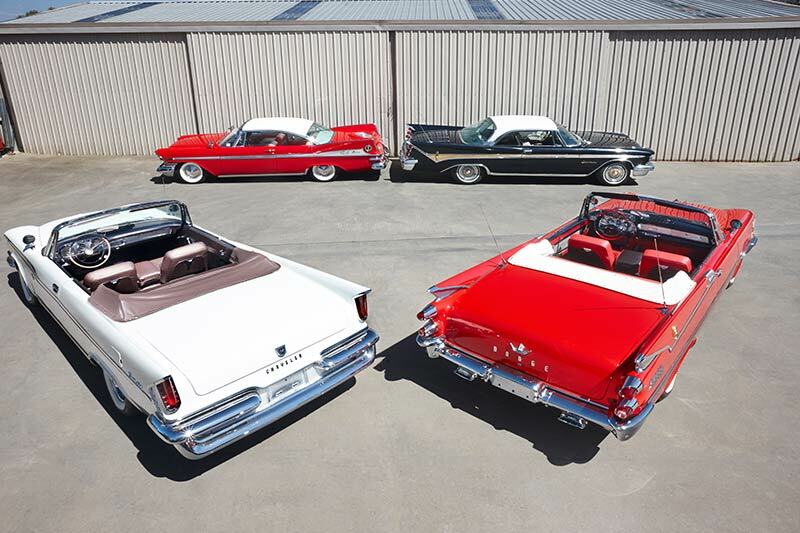 Though legendary designer Harley Earl had concluded his career by the time these cars were launched, you’d have no difficulty in seeing a fair degree of his influence in them. 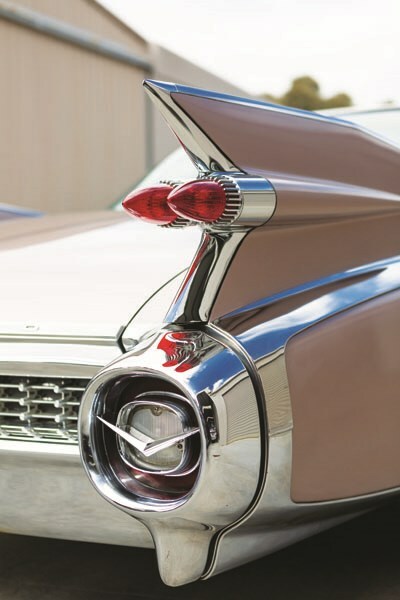 Fins and enough chrome to blind you at half a mile, plus quad headlamps, was typical Earl. 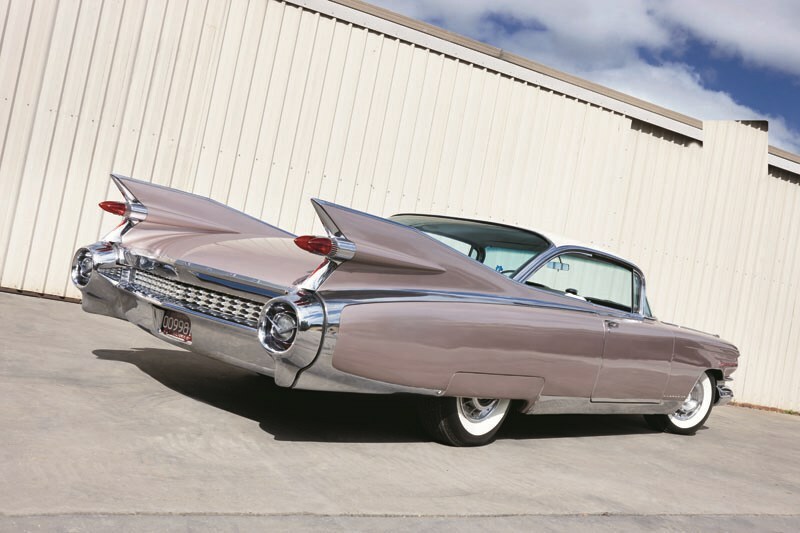 This was the year that marked the high-point of fins and the Cadillac range arguably took it further than anyone else. Its quad ‘rocket tails’ and the incredibly tall peaks left you in no doubt over what it was. To say it was flamboyant would be a gross understatement. Some say it was this very car which led to a change of tastes as the 60s rolled into view, with far more conservative lines. 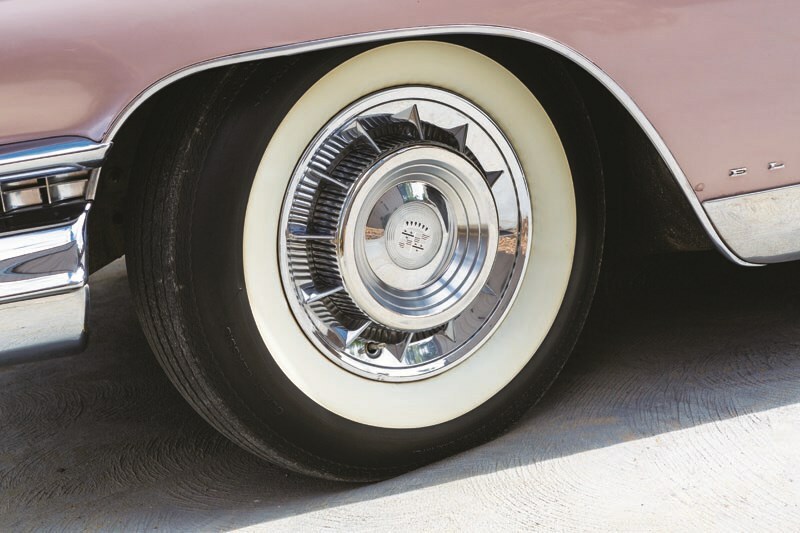 Under the skin, the Eldorado was running the last of the old 75 chassis, with a massive 130-inch (3302mm) wheelbase shared with many others in the range and longer than many upmarket four-doors from other brands in the GM stable. 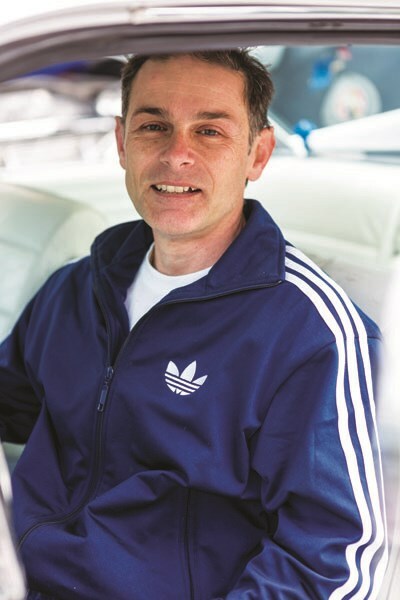 The fact you wanted a two-door coupe was seen as no reason for reducing the size of the car! 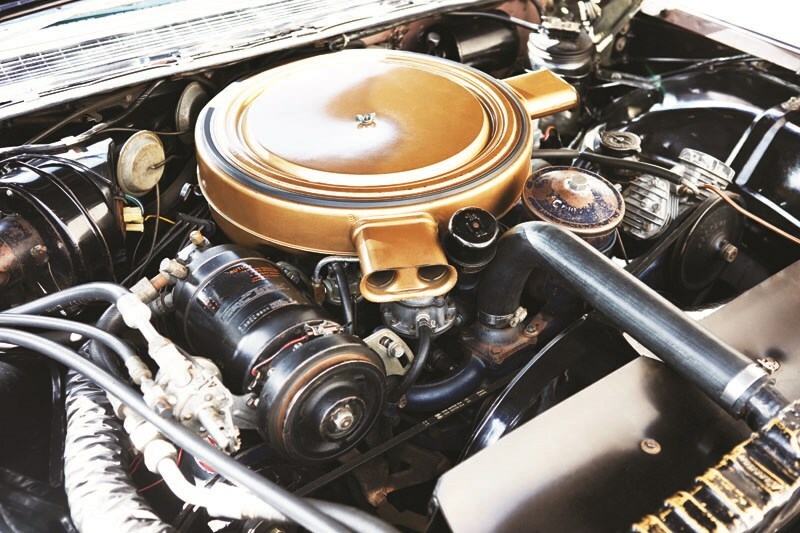 Powering the beast was a new (for that year) 390 V8 that came in various states of tune from 325 to 345 horsepower – enough to ensure a Caddy could shuffle along at a decent pace, despite its size. That was backed up by a premium transmission, a four-speed Hydra-Matic. If you happened to wander into a showroom in 1959, thinking it would be a fairly straightforward task to choice you favourite flavour of Cadillac, think again. The prices ranged from $4892 up to a staggering $13,075, depending on what you wanted. A car like the Seville you see here was somewhere in the middle, with a price north of $7400. What’s unusual about this particular car is that the air suspension is still in place. The system (actually air springing, that allowed a significant variations in ride height) was reaching the end of production by this stage. In fact many cars that started life with air were retrofitted with coils – so it’s nice to see one with the original gear. 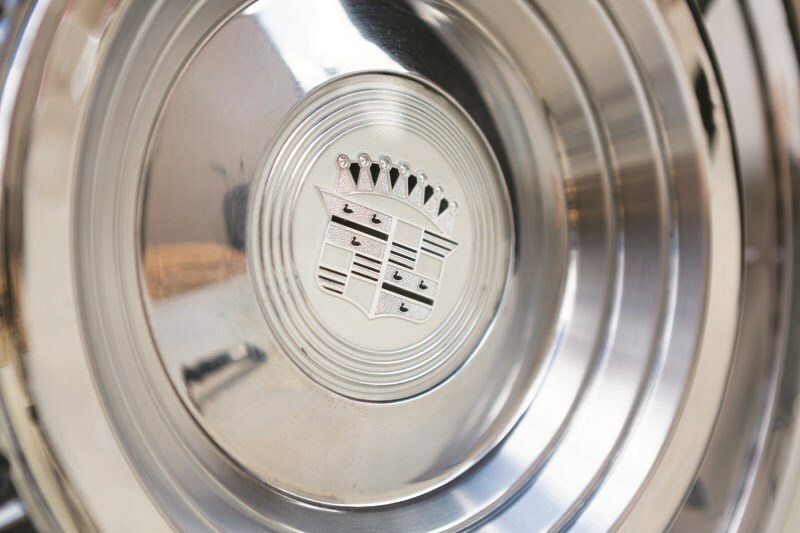 This year, 1959, also represented very good times for Cadillac. 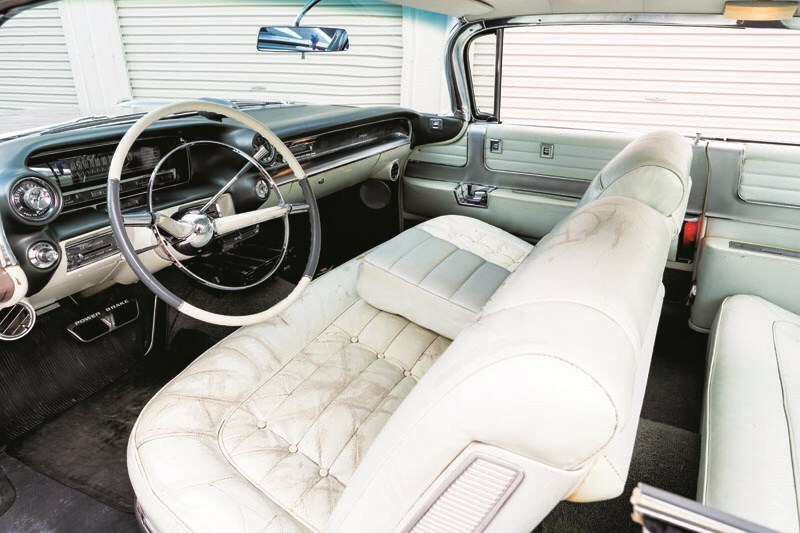 Harley Earl’s styling ideas may have been under challenge – and it was Bill Mitchell who took over the reins for 1960 and on – but the company built an incredible 142,000 cars that year. It was a spectacular result. Speaking of luxury, you were well and truly coddled in these cars. Cruise control had been fitted standard from 1958 and there was an options list that would make your head spin. For someone in the market for a Caddy, there is a lot of value in finding something that’s already a good running car. While standard gear like the motor and transmission will outlast all of us, there is a fair degree of complexity in the body. The bumpers and chrome alone are a major undertaking for the restorer. However the rewards are high. These cars make an indelible impression and there’s a big feel-good factor. WE CAN only hope your average Caddy dealer not only had good coffee on tap, but offered a bar. Because wading through the extensive catalogue would have required a stiff drink at some point, particularly when you were presented with the bill. Our favourite Caddy gadget is the the Autronic Eye, which promised to ‘read’ the situation ahead (including oncoming cars at night) and automatically switch your headlights between high and low beam. Clever, eh? Of course power everything and acres of leather were also offered. 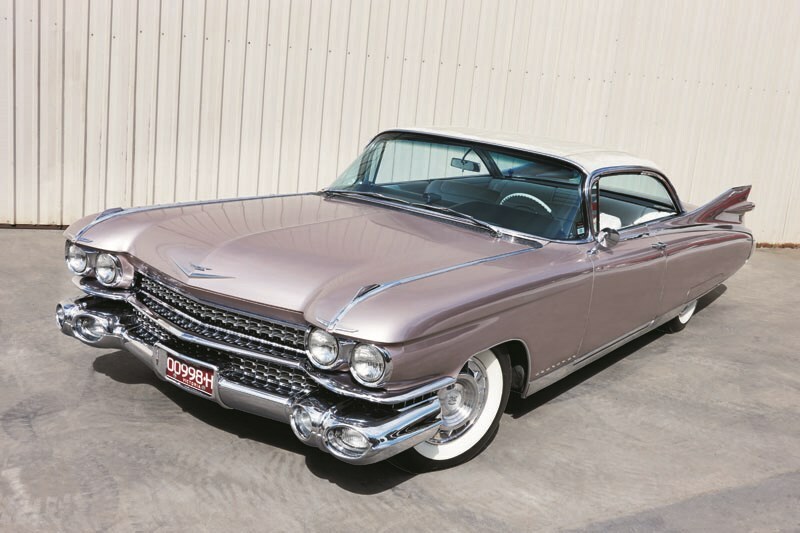 I FELL in love with the 1959 Cadillacs the moment I set my eyes on one. I must have only been in high-school when I first saw one, I thought they were the coolest thing on the road. Even once I became an adult, I still felt the same way about them, so I got some money together and went looking. It took me six years before I found the right one, so when I saw it, I was committed to getting it. It’s completely unrestored, just as it left the factory, and in terms of comfort, it is still impressive to this day. It drives just like a Cadillac should, very boat-like. It’s not the best in the twisties, but on an open road it’s spectacular. We use it for weekend runs with the family, it’s something to have a bit of fun with. I’ve now owned the car for 11 years, and they seem to have gone up in value in that time. But it’s really tricky to put a figure on it as there are just so few on the market. It looks as though people – like me – tend to hang on to them once they find a good one!